Happy Passover Savings! Get 10% OFF! Enter code ISRPASSOVER at checkout. 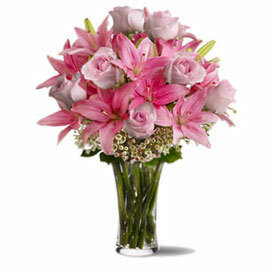 Present that special person with this magnificent fusion of pink roses and lilies. They will keep this arrangement, as well as you, in their heart forever. 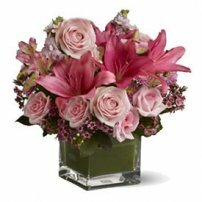 Arrangement of pink roses and lilies in a glass vase. 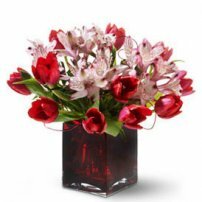 Approximately 17.5" W x 22" H.
We delivery flowers and plants. 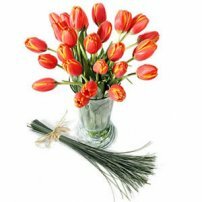 We send arrangements and boquets of all kinds of flowers such as Roses and Tulips to the whole Israel .